The diva has so many tattoos to date that I've lost count (and I'm a Rihanna STAN). 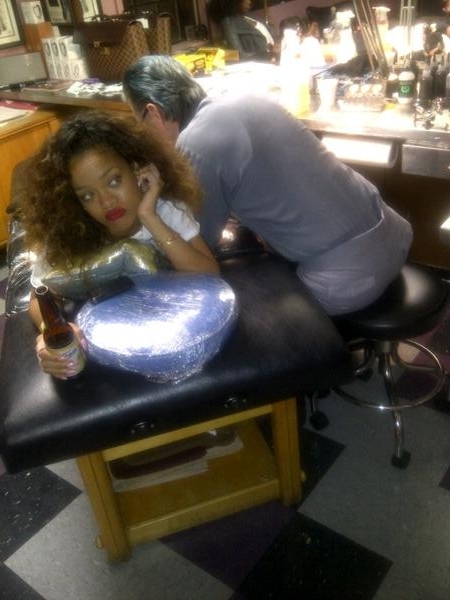 Nonetheless, Rihanna tweeted pictures of herself at a tattoo parlor in the wee hours of the morning (January 25). 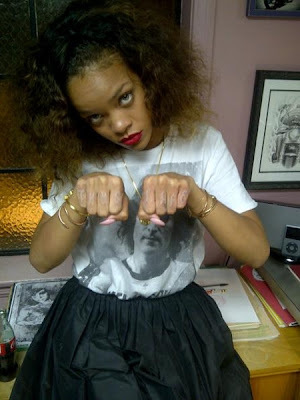 One shows her getting an unseen tattoo on her back (above), while in the other, she's showing off a 2Pac-resembling "Thug Life" tattoo on her hands (below). Feeling a little rebellious, are we?